Lee was signed as a sixteen year old scholar in January 2005 following his release from the Leicester City youth scheme, and in October that year, made Diamonds history as the Club’s youngest ever player in a League match when he came on as a substitute in an away game at Wycombe Wanderers. 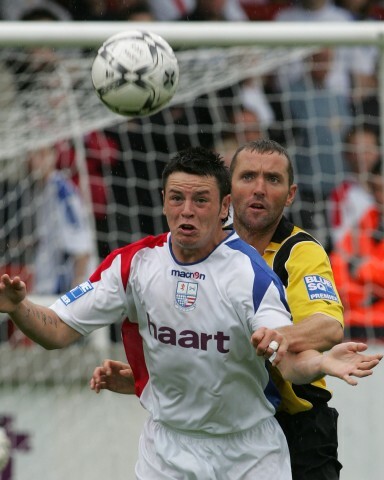 After a number of substitute appearances he made his full debut for the club at Nene Park in the First Round FA Cup Replay against Halifax Town in November 2005, and his full league debut against Peterborough United while he was still aged 16. Lee signed a 2½ year contract on his 17th birthday, to keep him with the club until the summer of 2008. In the 2006 / 2007 season, he scored his debut goal at Weymouth on 21 October 2006 – and at 17 years 9 months and 9 days that made him the youngest ever league goal scorer for the club. The following season saw Lee demonstrate his versatility by playing in wide midfield as well as upfront, making 47 appearances in total for the club that season. 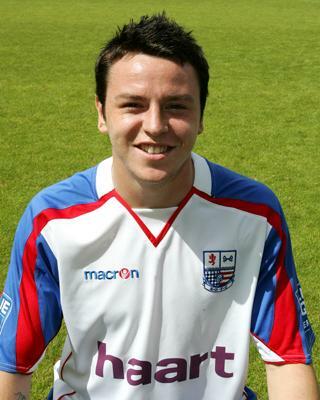 He also went out on loan to Brackley Town on 13 October 2007, before being recalled a week early on 5 November after an injury to Craig McAllister. On 17 June 2008, he signed a new contract to keep him at the club until the end of the summer of 2011. During the 2008 / 2009 season he scored 8 league goals, making him the joint-top league goal scorer that season. He played much of that season in a wide-right role, but was given a more conventional striking role when Justin Edinburgh took charge of Diamonds. His efforts and commitment meant that he also won the Players’ Player of the Season award that season. He also appeared for the England ‘C’ team during that season making his debut in the 4-0 victory against Malta, scoring once and being awarded the Man of the Match. He has went on to make several appearances for his Country at this level. 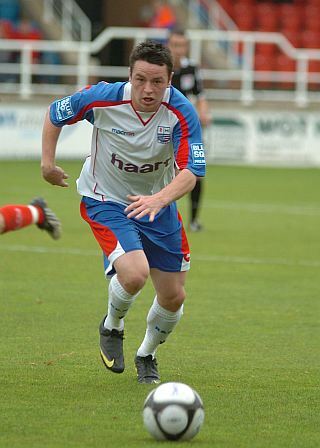 He started the 2009 / 2010 season as the longest serving player remaining at Nene Park. At the start of that season. he was switched to playing a wide-midfield role on the left, and quickly approached his total of goals from the previous season. After a successful 2009 / 2010 season in which he helped the club reach the end-of-season playoffs, and was the club’s top scorer in Conference games, Lee was awarded the Press Player of the Season award. He also won a place in the Blue Square Premier Team of the Season, alongside club captain Jamie Stuart. On 6 August 2010, he left the club to join Peterborough United for an undisclosed fee. After some 43 goals in 156 appearances for the Posh, Lee joined Championship side Middlesborough on 31 January 2014, on a loan deal until the end of the season, but this was made into a permanent deal on 18 February 2014 with a three and a half year contract. The deal was reported to be in the region of £1.5m. He stepped up to the Premier League with Bournemouth in 2015, but only appeared in 6 games in the top flight before going out on loan to Bristol City in the Champioship. He stayed in Bristol for the 2016-17 season before moving to Cardiff City in July 2017, as well as spending a period on loan at Nottingham Forest towards the end of the 2017-18 season. in January 2019 he signed a loan deal at Peterborough United for the remainder of the season. His Wikipedia entry is here.